So this was supposed to post on Presidents Day, but I guess it didn’t! Per usual these days, here in southern California anyway, it is February and the temperature is a crisp 80 degrees. That being said, I didn’t want to turn on my oven last week to make dessert! Fortunately, I have a solid, albeit small, collection of no-bake treats I can make on such an occasion. This one was a riff on this chocolate puddin’ pie, because I wanted to at least attempt something new for you, my wonderful readers. And, for those of you in places where it actually is summer, you no longer have to scour through recipes from months ago to find something to make on a hot day! 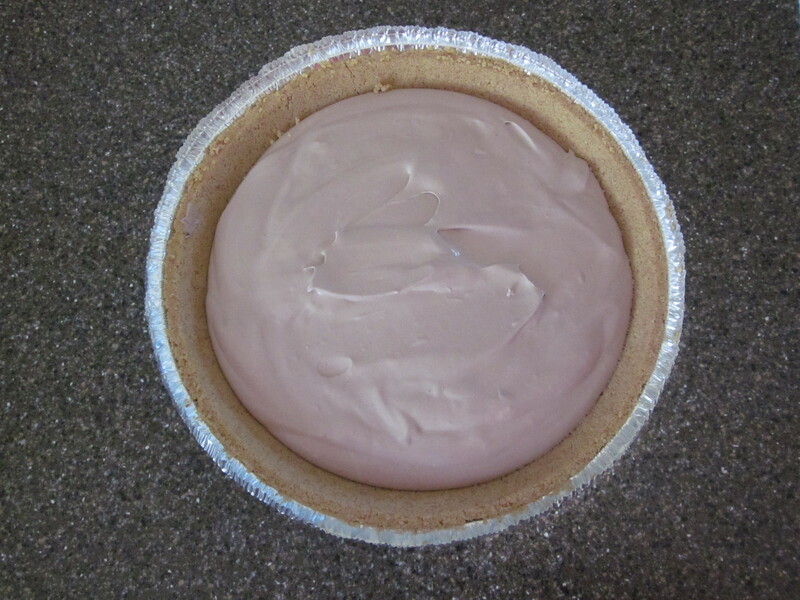 This pie takes maybe 10-15 minutes to make, but keep in mind it has to be chilled for a significant amount of time before serving! The recipe calls for 6 hours in the fridge, but you can also pop it into the freezer for 3 (and then transfer to the fridge, if you like). 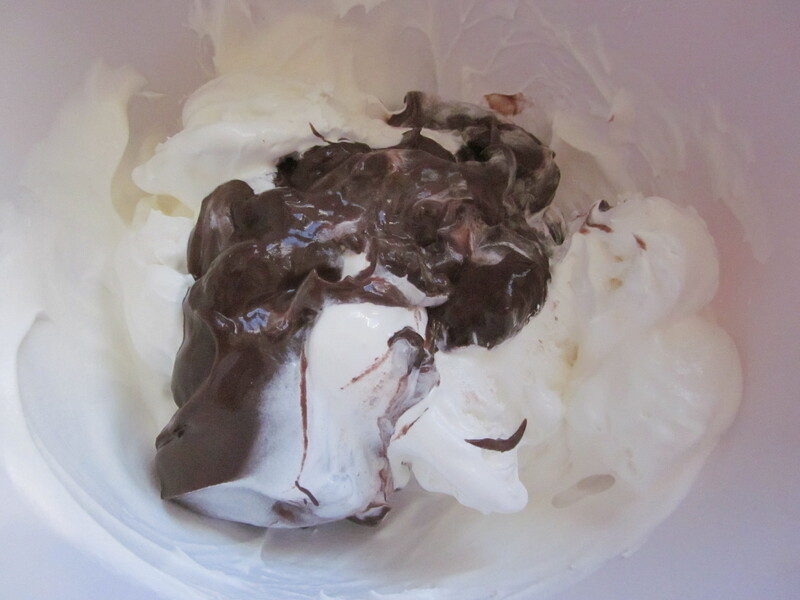 To start, mix together 3/4 of the whipped topping (basically, you’ll reserve about 1 cup) with the chocolate pudding. I used only 2 of the chocolate pudding cups in this, and was shocked to read that I used double the amount last time I made it. To be honest, it tasted fantastic and I didn’t even notice. That being said, feel free to add in an extra pack or two if you like! Pour the filling into a store-bought pie crust, bless you if you actually turn on an oven to make one in this heat, and use a spatula to spread it out evenly. Next, you’ll mix together your remaining Cool Whip and add in the marshmallow creme. I’ll save you some time here – don’t do it by hand. I made that mistake. These two do not blend kindly. However, you will have no problem getting the lumps out in a mixer. Pour the marshmallow layer over the chocolate and try to smooth it out on the top. Of course, when you’re working with mush on top of mush, you’ll probably end up with what I had which was a puddle in the middle that kept sinking into the lower layer. (The marshmallow makes it heavier than if you just added the plain whipped topping.) But you know what, it’ll taste good even if it doesn’t look pretty. Feel free to top with a chocolate garnish (see original post for tips), or just put a cover on it and let it chill until you’re ready to serve. 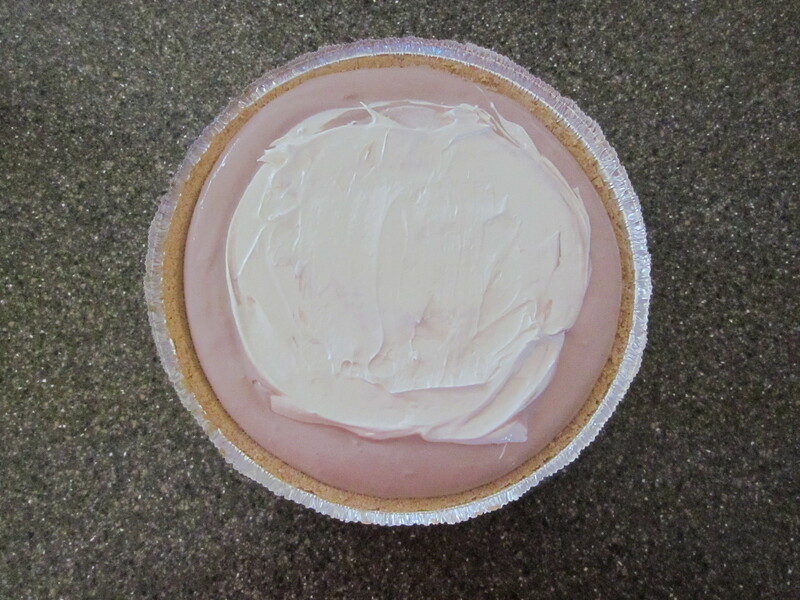 This pie got so many compliments because it was so damn good. What’s not to like about it? And, you’ll look like a hero for doing 15 minutes’ worth of work. The other great thing is all these ingredients are things that will last in the pantry or freezer for a long time, so you can stock up and have them on hand for an emergency. The bad thing is it’s an Evil Rating of 5, because I could have eaten the whole thing myself and told everyone, through a chocolate whipped mustache, that I’d forgotten dessert. Thank heavens for licking the beaters.